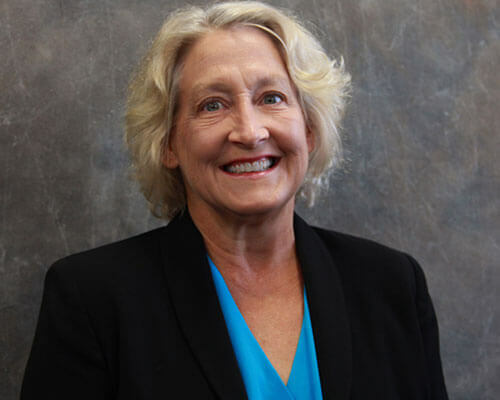 Home » Academics » Schools » College of Arts, Humanities and Social Sciences » Faculty » Leona Pallansch, Ph.D.
Leona Pallansch, Ph.D., is an Associate Professor of Political Science and serves as Vice Provost for Academic Affairs. She received her B.A. in Government and Foreign Affairs from the University of Virginia and her M.A. in Government and Foreign Affairs from Georgetown University. After completing a dissertation that explored the relationship between U.S. foreign assistance and alignment behavior of recipient governments, she received her Ph.D. from the University of North Carolina-Chapel Hill. Her research utilizes quantitative analyses to study political behavior in international contexts. Recent papers include an examination of the impact of social media on the Arab Spring, the use of development assistance as counterinsurgency strategy, analysis of incentive structures and success of microloans, and longitudinal studies of risk factors associated with problem behaviors in children adopted from the former Soviet Union. She has worked with students on various research projects including an evaluation of the services offered by the Battered Women’s Shelter, an evaluation of San Antonio’s public park system, and a survey analysis of local employers’ perceptions of immigrants. Pallansch teaches a variety of courses at the undergraduate and graduate level. Her teaching interests include international relations theory, international political economy, research methodology, and ethical issues in international relations. She has also offered courses that focus on gender and international relations. Pallansch is involved with internationalization efforts and civic engagement initiatives at St. Mary’s and has been involved in neighborhood revitalization efforts. In addition, Pallansch has been a faculty participant in numerous St. Mary’s study abroad programs including Spain, the UK, Austria, and the Southern Cone and has participated in faculty development activities in the Middle East, the Philippines, Brazil, Argentina, Chile, Mexico and Bangladesh.